Build, play, and win with your ultimate team of todays’ NFL stars and legends in Madden Ultimate Team (MUT) is the complete NFL team- building mode. Play games, collect rewards, and upgrade your team with daily, fun and engaging content updates including legendary NFL players exclusively found in MUT. 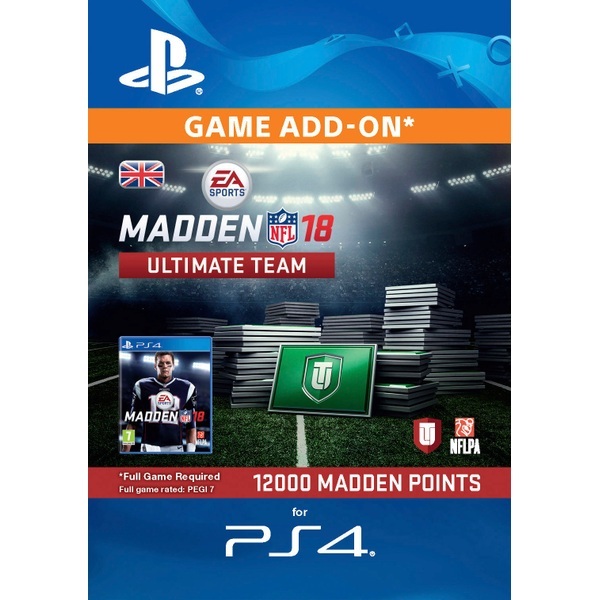 Start crafting your squad to elite status today with 12000 Ultimate Team Points on the road to building your Ultimate Team dynasty.